Speedy's artistic universe has always been built on an honest dialogue concerning the role of the image within modern society. Since the inception of his career in the 1980s, his work has dealt with concepts of commercialism, iconography, and pop culture. The ever changing nature of his subject matter, with new motifs and icons that evolve and emerge over time, has allowed him to take his art into myriad directions. He traverses all mediums, from painting to film and photography, sculpture and installation. Speedy has influenced a generation of artists and continues to pioneer the use of pictorial languages and the satirical appropriation of characters in contemporary art. Speedy's first solo exhibition in the U.S. was held at the Fabien Castanier Gallery in the fall of 2011, and the gallery has since remained the artist's exclusive representation in North America. Since then, the gallery has held three more solo shows as well as featured Speedy's work at preeminent art fairs. With a growing audience in the U.S., Speedy has also developed new and important ventures in his native France. Most recently, the artist's work has been inducted into his first museum, Le Musée du Touquet-Paris-Plage, with a retrospective exhibition entitled "Un Art De Vivre" that took place from October 2016 - May 2017. Last year he also had a solo show, "Big Buzz", held at the renowned l’Espace d’Art Contemporain André Malraux in Colmar, as well as "A World of Dreams" solo exhibition at Galerie Polaris in Paris. 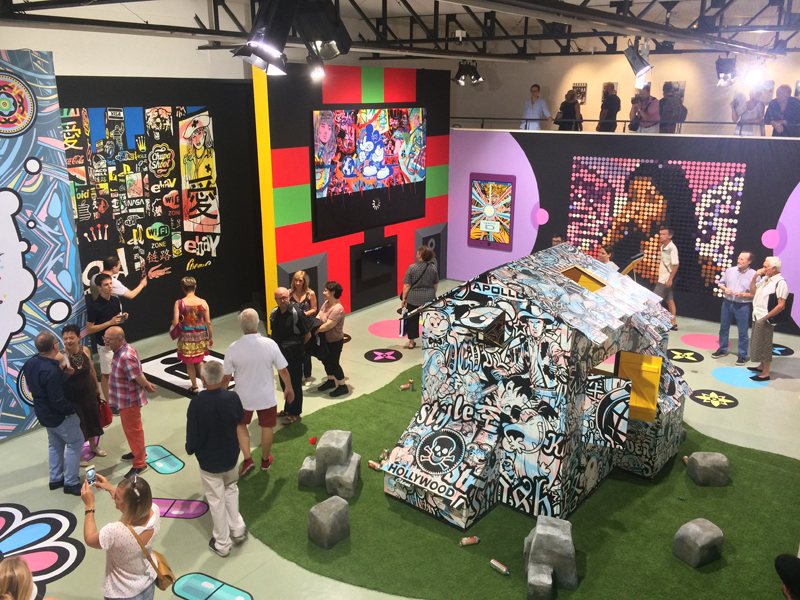 ABOVE: Speedy Graphito's "Big Buzz" exhibition in 2017. 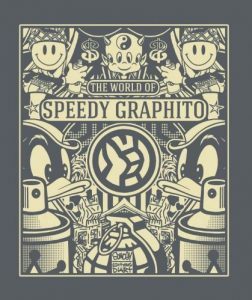 *The Fabien Castanier Gallery is selling copies of Speedy's new book, "The World of Speedy Graphito". Contact us to get your copy. 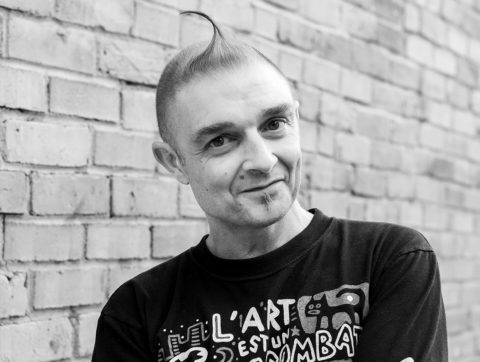 "The World of Speedy Graphito" will be released in both French and English, with text by Florent Hugoniot, Stéphanie Pioda, Gérard Lemarié and Speedy Graphito. This 256 page monograph highlights the artist's most notable work and evolution of style from the 1980s up until today.